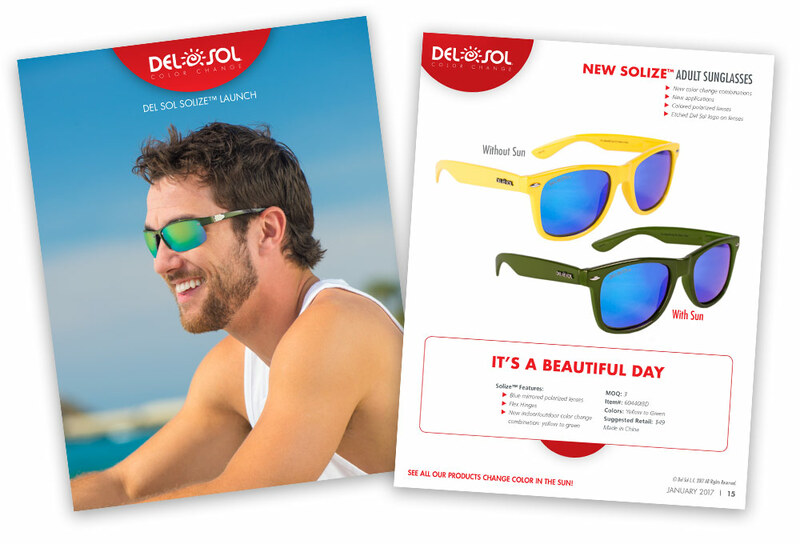 Product Launch Template for new Solize™ Sunglasses that change color in the sun. 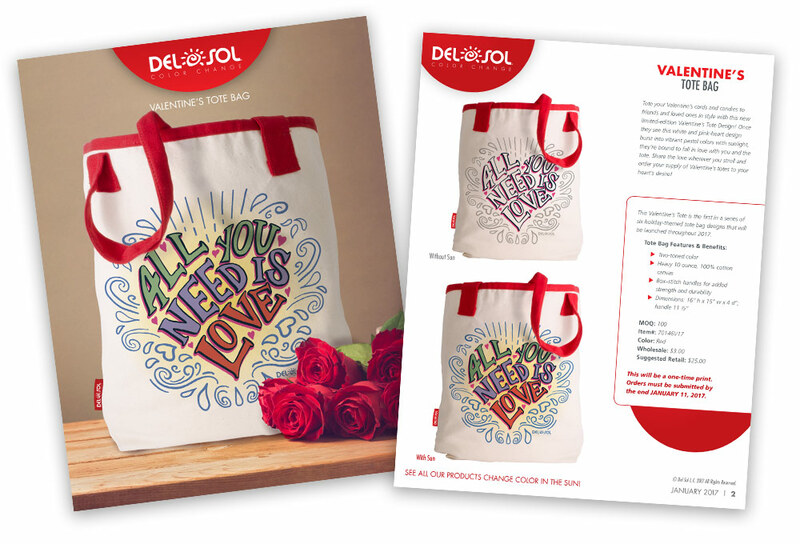 Product Launch Template for New Valentine’s Day Tote Bag that changes color in the sun. Worked with Product Team to design 2017 Product Launch template. Led photoshoot including setup of seamless background, professional lighting, photography and sweetening of photos in post production. Created multiple layouts to fit a wide variety of products and promotions.